Fillworth (UK) Limited is a medium-sized privately-owned specialist manufacturer of industrial mixing equipment. The company approached Wilde to evaluate a new batch mixing tank design in order to establish the levels of mixing efficiency and to determine the input power requirement and pressure loading on the vessel structure. Fillworth’s range of equipment covers a huge spectrum of liquid mixing applications – from heavy filled mastics to cold set inks and paints. Typical other applications are adhesives, sealants, bitumens, and general dispersion products such as plastisols and varnishes. 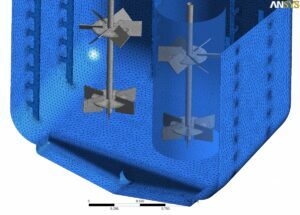 The supplied CAD model was de-featured and meshed within ANSYS Workbench, and a computational model quickly set up in ANSYS CFX using a multiple frame of reference approach to model the rotating agitators. 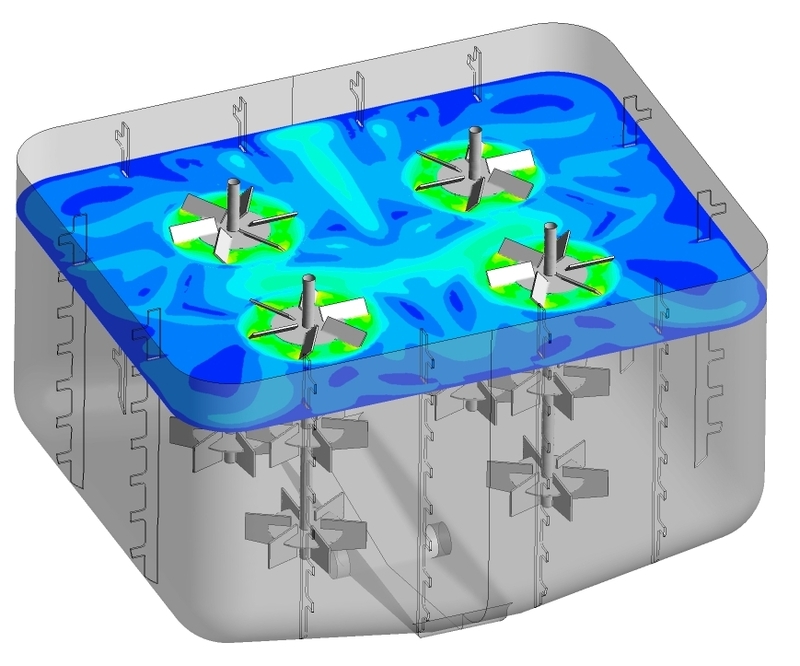 The CFD model provided a detailed picture of the internal tank flow patterns and levels of fluid loading, as well as providing details on the expected power draw. The initial analysis helped to identify potential improvements, and Wilde subsequently worked with Fillworth in guiding design modifications through further simulation work, with the resulting design delivering improved performance.